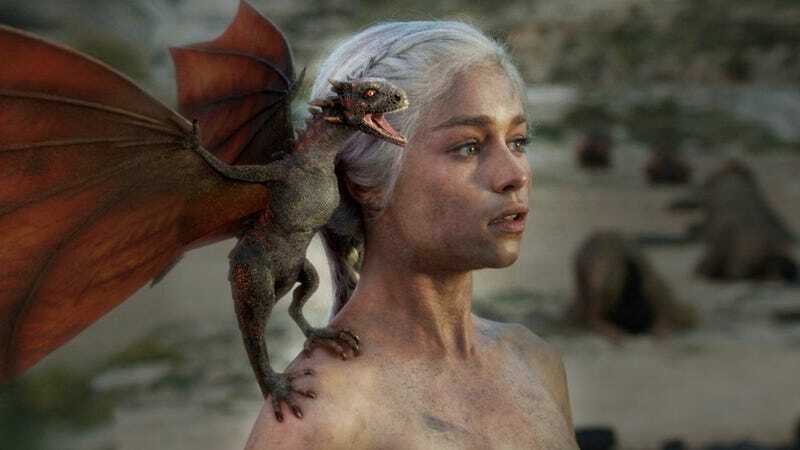 According to TorrentFreak, Game of Thrones averages around 3.9 million pirated downloads per episode. According to the great Internet resource known as Wikipedia, only 3.8 million people watch Game of Thrones on HBO. That means more people pirate the show than actually watch the show on TV. To no one's surprise, Game of Thrones is the most pirated show on television by a huge margin. It's been tracking like that the entire season, but now that the Spring TV season is nearly over, it's been coronated as the king. Last year, the series based on the books by George R. R. Martin clocked in at 3.4 million pirated downloads per episode, so the show is doing better on both the shady black box of ratings and shady grey area of the Internet even though this season wasn't as good as the first.